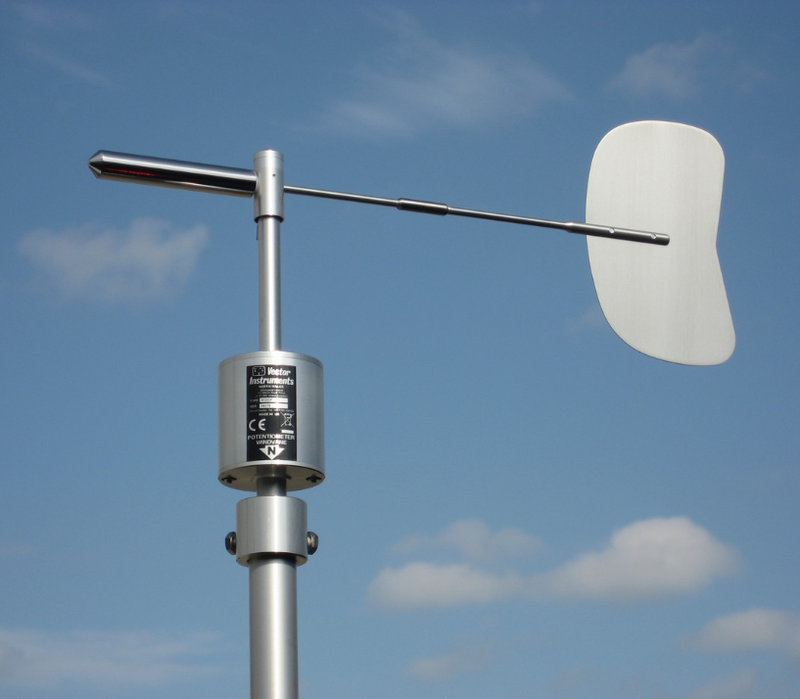 The W200 series windvanes are high quality instruments for measuring wind direction, which have proven themselves over many years in applications from general meteorology to wind assessment. Our windvanes are all "premium quality", our standard W200P windvane is a popular & durable choice for demanding Wind Assessment applications, having "First Class" performance to meet the requirements of the IEC61400-12-1 standard. 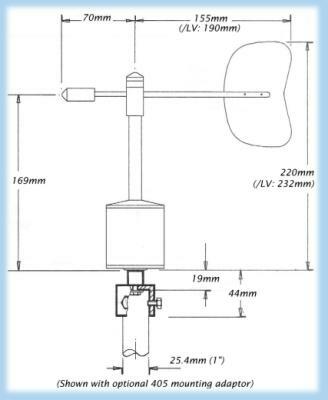 A NEW introduction is our First Class, Large Vane W200P/FC windvane, a design evolved from our proven standard W200P windvane for higher sensitivity (lower threshold) as well as higher maximum wind speed rating, and to include a 10K ohm potentiometer for enhanced datalogger compatability. Four basic types are available: The First Class W200P/FC, the W200P and W200P/L. The W200P/FC is a high resolution instrument fitted with a 10K ohm potentiometer of robust design, and the new F20/FC large fin/vane for high sensitivity (picture: right). 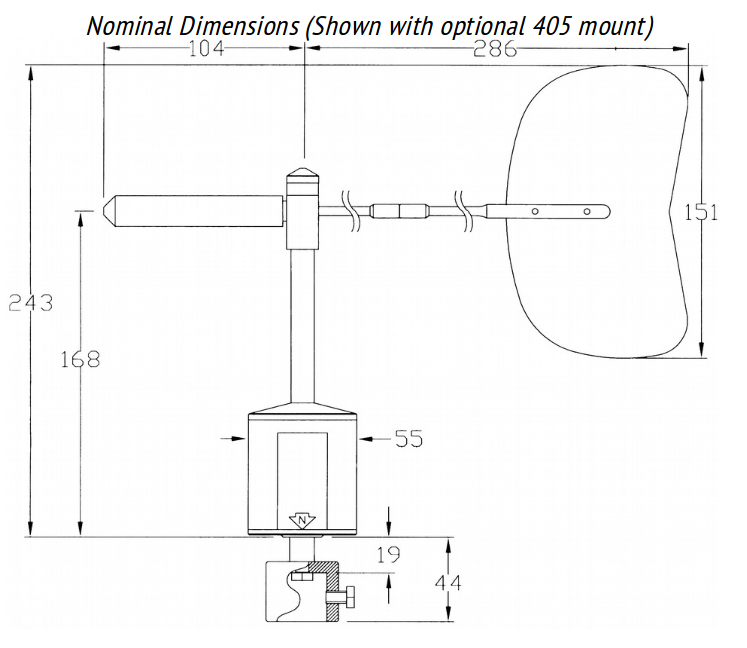 The W200P is a high resolution instrument fitted with a 1K ohm potentiometer of robust design, and a standard/traditional F20 fin/vane (picture: left/upper). 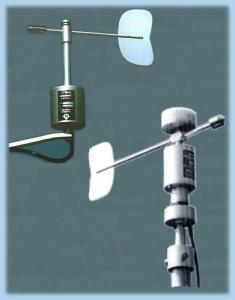 The W200P/L is a "Light Duty" instrument fitted with a low-torque 2K ohm potentiometer, and is more responsive to light winds than the standard W200P (but is less robust). The Self-Referencing SRW1 Series Windvanes (special order product, picture: left/lower) which include an internal compass system are also available and are pouplar for use on mobile platforms such as buoys at sea. Our windvanes are robustly constructed using weather resisting plastics, anodised aluminium and stainless steels enabling them to withstand continuous exposure to the weather including marine environments. 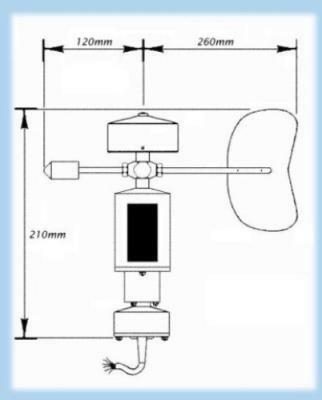 The fixed-reference W200 Series Windvanes all share the same basic construction and use one of the F20 series Fins/Vanes (vane-arms), different internal modules/components are used to provide different output signals. Page Rendered in: 0.506489 seconds. - Powered by Mambo.